The technology that really drives the world are the patterns in your head . . . Change those patterns, and you change your world. As a student at Case Western Reserve University in 1996, Paul Buchheit (pronounced ‘boo-height’) was frustrated that he could only access emails from one place—his dormitory room. He believed he should be able to access emails anywhere. So, as a class project, his idea was to develop a web-based email system. The first time most businesses and individuals had a low-cost, high-speed alternative to letter post was around 1994 when Internet Service Providers (ISPs) were set up to service business and individual’s access to the Internet. E-mail was recognised as the ‘killer application’ and its usage expanded rapidly. By 1996 Microsoft had introduced Windows 95 and Intel had released the Pentium II processor. The combination had won the ‘PC wars’. In that one year (1996), more than 70 million PCs would be produced—mostly for the US and European markets. The Internet was also starting to take off. By the end of 1995, there were 16 million users worldwide. By the end of 1996, the number had grown to 36 million—but still less than one percent of the world’s population. Amazon.com had started doing business in July 1995 but many people were nervous about using their credit card for online book purchases. The AuctionWeb online auction website was launched in September 1995, later to change its name to eBay. Google, Facebook, YouTube, Wikipedia and Twitter simply did not exist. I tried to write a web-based email system. I didn’t know what I was doing. It didn’t work. But the experience of basically failing [meant] I learned a lot of important lessons. And that was the end of that—or so it seemed. As it turned out a web-based email service called Hotmail was announced in July 1996. It grew rapidly and when the company was sold to Microsoft 18 months later there were more than 8 million subscribers. There obviously was a need for web-based email. Many people wouldn’t have heard of Webster prior to December 24, 2012, when 62-year-old William Spengler ambushed volunteer fire-fighters from the local Fire Department, shooting and killing two and seriously wounding two others as they arrived to put out a car fire. It also appears that he killed his sister and set fire to five houses before killing himself. Rochester, located on the southern shore of Lake Ontario, was once a powerhouse of advanced technology in the north-east part of the United States. It hosted the headquarters for three of the leading corporations of the twentieth century: Eastman Kodak, Xerox and Bausch & Lomb. These ‘Big Three’ have now gone and the largest employers are the University of Rochester and Rochester Regional Health. I especially hated homework, so I turned it into a game to see how little time and effort I could possibly waste on it while still getting ‘good enough’ grades. I barely made it into the top 10% of my public high school class . . . I taught myself how to program and build all kinds of things, which to me was much more fun than school. That sort of grade won’t get you into an Ivy League college such as Harvard or Yale but that didn’t bother Paul. Cleveland, Ohio is located about 250 miles west of Rochester, also beside one of the great lakes—Lake Eire. Case Western Reserve University is a private research university in Cleveland dating back to 1826 and has 16 Nobel Laureates among its alumni. Paul was admitted to the Engineering school in 1994. He says he slept through most of his classes but put in enough work to graduate with a B.S. and M.S. in Computer Science in 1998. I had read a few random books, such as ‘Startup: A Silicon Valley Adventure’ and ‘Steve Jobs & the Next Big Thing’, but I still had no idea how to go about starting a company or even how to find a good one to join. Really, all I knew was that the cool startups seemed to be located in Silicon Valley, and so the only plan I could think of was to find out where this ‘Silicon Valley’ was located and move there. A friend of his happened to be working for Intel in Santa Clara, California, which is in the heart of Silicon Valley. Paul application for a job was successful and he started there in June 1998. Intel was big and bureaucratic and was not a happy environment for many employees. After a year spent in what he describes as a ‘gray cubicle’, Paul decided to move on to a startup. Some people have asked Paul why he would want to leave such a well-established and respected company like Intel, even with its faults. He responds by saying he found the idea of working with a handful of others to create something new appealed far more than being one of thousands in an established corporation—even if the choice might not seem to make the most sense for his career. I still didn’t know much about startups, and the ones that I read about in ‘Red Herring’ magazine all sounded really boring. Fortunately, working at Intel meant that I had plenty of time to read ‘Slashdot’, and so rather than do some kind of intelligent research, I simply sent my resume to the handful of local startups I had read about that seemed technically interesting. He never heard back from most of those startups, but one gave him an interview. At the time, Google was just a small team of people in a little office in Palo Alto. Palo Alto, located about 35 miles south of San Francisco, is where two Stanford University graduates, Bill Hewlett and David Packard, first set up their business in a garage in 1939. This garage is now classed as a national monument to recognise the start of Silicon Valley and the achievements of the founders of the Hewlett-Packard Company. Almost 60 years later in September 1998, two PhD students from Stanford University, Larry Page and Sergey Brin, founded their business in a garage less than two miles away. They moved a short time later to rent space in a building on University Avenue, Palo Alto as the Google head office. Coincidence? Not really. Many famous and not so famous companies have started in a garage or a bedroom. They include Amazon.com, Apple, Dell and Nike. What is significant is the role of Stanford University. Besides being a major research institution—52 Nobel laureates since 1952—it is also a powerhouse for innovation. It was Professor Fred Terman who encouraged Dave Packard and Bill Hewlett to go into business together. Terman also pioneered the setting up of a technology park on university land—now home to 150 companies. A study estimated that companies formed by Stanford entrepreneurs generate world revenues of US$2.7 trillion annually and have created 5.4 million jobs since the 1930s. There’s something else special about Silicon Valley: you gain respect from experiencing and learning from failure. Most corporations around the world preach to their people that ‘winning is everything’ and only reward the winners—never the learners. In Silicon Valley they haven’t forgotten the message of the industrialist, John Paul Getty: “If you are not failing, you are not trying hard enough.” What he meant was that if you want to succeed with difficult tasks, you must risk failure. Larry Page and Sergey Brin’s research had demonstrated that a web search engine would be more effective if the ranking of results was based the number of links showing from other web sites. The more links would mean greater importance. With the encouragement of Stanford faculty members and their network of potential investors, the two would-be entrepreneurs had little difficulty in raising enough money to set up Google and commercialise their research findings. But it wouldn’t be easy. Many web search engines were already available and well known, such as WebCrawler, Lycos, Infoseek, AltaVista, Inktomi and Ask Jeeves. Altavista was the most popular search engine by 1998 and it transpired that the page ranking strategy developed by Page and Brin was also being explored by others. Their ‘business model’ seemed pretty unlikely to me, but I liked the product, the people seemed smart, the work sounded very interesting, and the office had a bright and high energy feel, a nice change from the two shades of gray at Intel. I didn’t understand how they could possibly beat Altavista, which had more users, more money, more engineers, and more everything. If Google did start to take off, wouldn’t Altavista simply match their product and kill them? So I pretty much assumed that Google wouldn’t make it, but it seemed like a fun job and a great opportunity to meet new people and learn more about startups. Maybe I could find a better startup the next time around. Paul was offered the job and commenced at Google in June 1999. Google’s intent was not just indexing web pages and presenting relevant search results to Web surfers but to ‘to organize the world’s information and make it universally accessible and useful’. Buchheit’s first job at Google was working on the Google Groups project—a web-based discussion groups service, together with indexing of the Usenet service. In August 2001, after working on the Usenet project, Buchheit was asked to start on an email system or personal productivity solution—a somewhat vague assignment. According to Larry Page, the inspiration for Gmail came from a Google user who asked why Google couldn’t improve on the existing web-based email systems—Hotmail with only 2 megabytes of storage available and Yahoo with 4 megabytes. The internal email systems in corporations also had limited storage space available for users. On the one hand, email was a very convenient communications tool, but on the other hand it was difficult for users to manage. The limited storage space meant that messages were often printed out; so much for the ‘paperless office’! And searching through emails that were stored was time-consuming, even if it was possible at all. I wrote the first version of Gmail in one day. It was not very impressive. All I did was stuff my own email into the Google Groups [Usenet] indexing engine. I sent it out to a few people for feedback, and they said that it was somewhat useful, but it would be better if it searched over their email instead of mine. That was version two. After I released that [version], people started wanting the ability to respond to email as well. That was version three. That process went on for a couple of years inside of Google before we released to the world. Initially Paul was the only one working on the project but gradually more people were added. He also had to face opposition from other Google staff who questioned why they were wasting time on such a product. But Google’s founders, Sergey Brin and Larry Page, were enthusiastic and both used Gmail from its early stages. From the start, three performance goals were set. The first was no emails were to be missed. With a web search engine, it didn’t matter if the odd page was missing from the results—that would not be acceptable for emails. The second requirement was speed of searching—it had to be fast. The third requirement was for massive storage space to be available so that users did not need to delete their emails if they didn’t want to. These technical issues were not easy to solve and there was still the challenge of how to make this free service financially viable. It was a very iterative process. We would periodically have brainstorming sessions and think of ideas. We would spend a lot of time people inside the company about their email needs. Some of the other Google people thought that it would be going too far to sift through private emails even if no humans were involved. But Sergey Brinn and Larry Page also saw this working prototype as an additional way to advertise adjacent to web search results. A separate project team was assembled and the resulting product was Google AdSense which was announced in March 2003—before Gmail was released. AdSense—aka Google’s ‘Network Members’ websites—revenue in 2017 was US$17.5 billion of Alphabet’s total revenue of US$110.9 billion. Much of the work in Paul’s team involved inventing solutions along the way. Starting in 2002, Paul was named as inventor in 21 US patent applications, 10 of which have been granted. The most important one of these is undoubtedly United States Patent 7136875—’Serving advertisements based on content’. On 1 April 2004, Gmail was released to the outside world on a Beta trial basis to selected users. The reason for the staged release was to make sure they could cope with the demand. It became available to the general public on 7 February 2007. Since that time, it has been continuously upgraded with additional features, multiple languages and, until recently, 10 GB of free storage for a user’s messages and attachments. As of July 2017, Gmail has 1.2 billion active users worldwide and now offers 15 GB of storage. Over the years there have been many features added with the latest being the May 2018 enhancement of the user interface. On 25 August 2004, a few months after the public announcement of Gmail, Google shares were traded for the first time on the NASDAQ stock exchange. More than 1,000 Google employees were made millionaires on that day, including Paul Buchheit. Originally priced at US$85 each, Google’s shares soared and today trade over US$1000. They brought in a lot of experienced managers from other companies who implemented the same strategies that were done elsewhere. So, after seven years with Google, it was time for Paul to move on. He left in May 2006 as a very wealthy retiree. But retirement wouldn’t last for long. Paul Graham is an English-born computer scientist, entrepreneur, writer and investor. Since 2001 he has been publishing essays ranging from his experiences with programming languages to his thoughts on what makes successful startups. In 2005, he and Jessica Livingston—later to be his wife—founded Y Combinator, a startup incubator with the motto, ‘Make Something People Want.’. Not long after, Livingston interviewed Buchheit for her book, Founders at Work: Stories of Startups’ Early Days. Buchheit had been a keen reader of Graham’s essays, particularly of his 2001 prediction that server-based computing would be the next big thing. Graham had pioneered this approach with his own company, Viaweb, which he founded in 1995. Gmail is an example of a software on a Google server, and referred to today as Application Service Provider, or ASP. In 2006 Buchheit started investing relatively small amounts in startup companies as an angel investor, especially on the lookout for potential ASP solutions. An angel investor is a person who invests his/her own funds into a startup. By contrast, a venture capitalist is an organisation that invests in existing enterprises that have high growth potential. FriendFeed was sold to Facebook in August 2009 for a multi-million dollar figure with Buchheit and his FriendFeed partners taking on senior roles at Facebook. 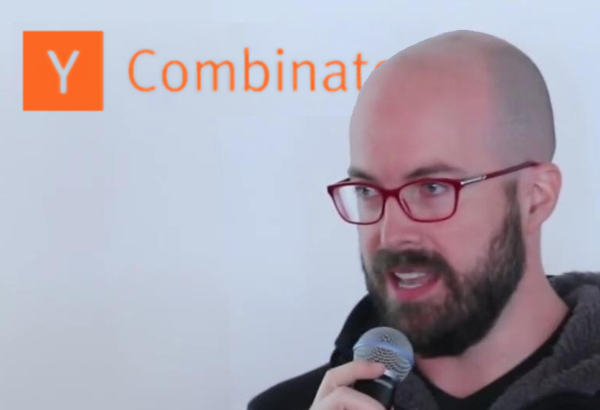 So it wasn’t a surprise that he has now become a partner at Y Combinator and is responsible for running the Startup Investor School, a free, 4-day course designed to educate early stage investors interested in investing in startups. In all his activities since leaving Google, the approach used in developing Gmail and FriendFeed has been the template for the advice he gives to aspiring investors. With the now hundreds of startups he has been involved in, Buchheit is reported to have a net worth of US$600 Million. He admits he was lucky to be at the right place at the right time when Google became a public company and thousands of employees received billions of dollars. This was exceptional as most people who join startups will never experience a huge windfall. Although Buchheit doesn’t need to work, he still does because of the satisfaction it brings in seeing ideas turned into new products and features to improve lives. Ana Hilinsky, “Geeks Uncensored – Paul Buchheit – FailCon 10’”, Geeks Uncensored (San Francisco, October 25, 2010), Vodcast, https://de-film.com/v-geeks-uncensored-paul-buchheit-failcon-10-Fn-nGPAAv44.html. Paul Buchheit, Paul Buchheit, “The two paths to success,” (blog), February 2, 2011, http://paulbuchheit.blogspot.com.au/2011/02/two-paths-to-success.html. Paul Buchheit, Paul Buchheit, “My startup path,” (blog), March 16, 2007, http://paulbuchheit.blogspot.com.au/2007/03/my-startup-path.html. “Google Gets the Message, Launches Gmail,” Google News from Google, April 1, 2004, http://googlepress.blogspot.com.au/2004/04/google-gets-message-launches-gmail.html. “New product development,” Wikipedia, http://en.wikipedia.org/wiki/New_product_development. Paul Buchheit, Paul Buchheit, “The most important thing to understand about new products and startups,” (blog), February 17, 2008, http://paulbuchheit.blogspot.com.au/2008_02_01_archive.html. Jessica Livingston, Founders At Work: Stories of Startups’ Early Days (Berkeley, CA: Apress, 2008), 172. Russ Roberts, “Buchheit on Google, Friendfeed, and Start-ups,” EconTalk, September 21, 2009, Podcast, http://www.econtalk.org/archives/2009/09/buchheit_on_goo.html. Rajesh Barnabas, The Vine, “The Good Guy Behind ‘Don’t Be Evil’ and Google Mail,” (interview), February 29, 2008, https://web.archive.org/web/20160304055228/http://rajeshbarnabas.newsvine.com/_news/2008/02/29/1335333-the-good-guy-behind-dont-be-evil-and-google-mail. Philipp Lenssen, Google Blogoscoped, “How Marissa Mayer Almost Killed AdSense (Kind Of), and More,” (blog), September 3, 2007, http://blogoscoped.com/archive/2007-09-03-n78.html. “Annual revenue of Alphabet from 2013 to 2017, by segment (in million U.S. dollars),” Statista, https://www.statista.com/statistics/633651/alphabet-annual-global-revenue-by-segment/. Paul Buchheit, Paul Buchheit, “Is there more to life than money?” (blog), December 9, 2007, http://paulbuchheit.blogspot.com.au/2007/12/is-there-more-to-life-than-money.html. Paul Graham, Hackers & Painters: Big Ideas from the Computer Age (Sebastopol, CA: O’Reilly Media, 2004), 57. Paul Buchheit, Paul Buchheit, “Angel investing, my first three years,” (blog), January 3, 2011, http://paulbuchheit.blogspot.com.au/2011/01/angel-investing-my-first-three-years.html. Matt Marshall, “Friendfeed, a company lets you see all your friends’ feeds,” VB, October 1, 2007, https://venturebeat.com/2007/10/01/friendfeed-a-company-lets-you-see-all-your-friends-feeds/. Kim-Mai Cutler, “Gmail Creator Paul Buchheit Leaves Facebook to Join Y Combinator,” Adweek, November 12, 2010, http://www.adweek.com/digital/buchheit-ycombinator/. Posted in Change and tagged gmail, google, hacking, improve lives, paul buchheit, software development, technology, y combinator.